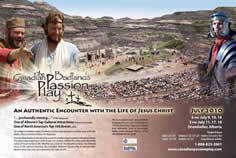 Located in Drumheller, Alberta, the Canadian Badlands Passion Play re-tells the powerful story of Jesus life, death and resurrection with 6 performances every July. Over 12,000 people were witness to this amazing event in 2009! Deep in our heart of hearts we know the word of God is more exciting, more challenging, than we often experience it. Hunter Barnes’ dramatization of scripture is beyond the interesting and different, it is an encounter with the Living Word of God. 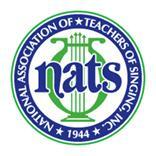 Invite your friends to a performance, or arrange for an event at your church or school today!